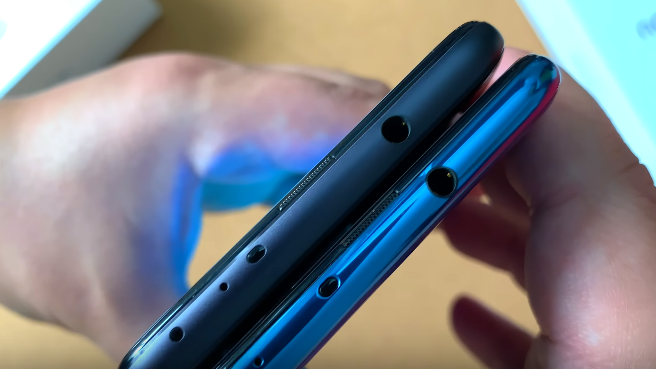 A better Punch hole Phone - Huawei Honor V20 Or Huawei Nova 4? 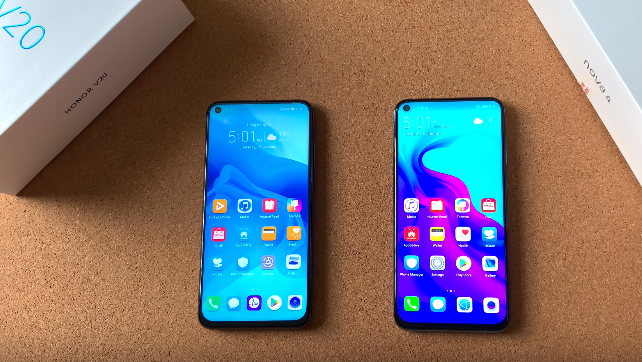 Home>Comparison>A better Punch hole Phone – Huawei Honor V20 Or Huawei Nova 4? 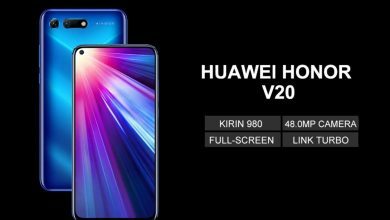 In this extract, we will go through a comparison between Huawei Honor V20 and Huawei Nova 4 smartphones. Honor is a sub-brand of Huawei and launching smartphones based on the latest algorithms. 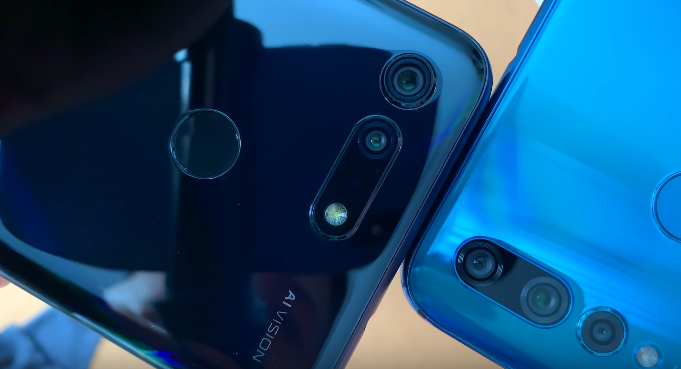 Both the Honor V20 and the Nova 4 were released in December 2018 with ultra-advanced features and qualities. The Android 9.0 Pie and storage capacity (8 GB, 128 GB) are common features in both the handsets with outstanding camera quality. Let’s have a close look at the comparison of both the smart mobile phones. By design, the Nova 4 is crafted with outstanding material and exquisite body. 4 color options are there with it-White, Blue, Red, and Black. Therefore, you are free to go with your choice and enjoy a glossy and stylish surface and full-screen body. Similarly, the Honor V20 comes with the Black, Blue and Red colors options with glorious and fantastic uni-body texture. The front camera is embedded in the screen that provides a unique personalized touch. The latest Android 9.0 Pie is serving as the basement in Huawei Nova 4. In addition, it has Kirin 970 Octa-Core 2.36 GHz processor and Mali-G72 and Mp12 graphics. On the other hand, the Honor V20 is also equipped with Android 9.0 Pie operating platform but with a little difference in processor strength. It features Octa-Core Kirin 980 2.6 GHz processor and Turbo 2.0 Graphics. 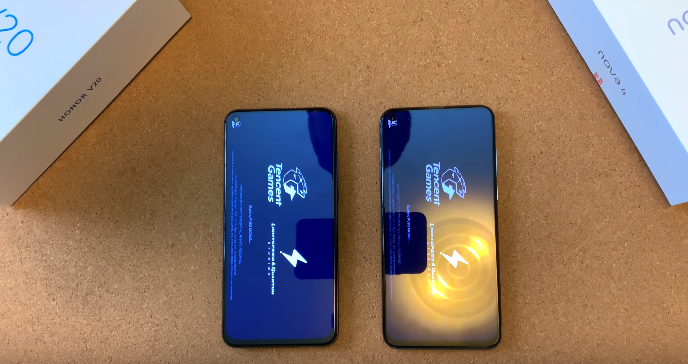 In this section, both the smartphones are standing equally with the same screen sizes. The Huawei Nova 4 consists of a 6.4-inch full touchscreen capacitive display with 2310×1080 screen resolution pixels. In Honor 4, you will get the same screen size of 6.4 inches with the same screen resolutions. But, here the screen type is IPS as compare to the competitor. The cameras from both the handsets are central attraction. The Huawei Nova 4 provides the quad-camera feature with triple-rear (48 MP + 16 MP + 2 MP) camera and a single front (25 MP) camera to click the selfie with beauty effects. But, the Huawei Honor V20 is equipped with triple cameras specification. It has the dual-rear camera of 48 MP + TOF Stereoscopic Lens, and 25 MP front camera. In addition, both smartphones provide panorama shot, face beauty, autofocus etc. The internal storage capacity and the RAM are also the same in both the Phablets. The Huawei Nova 4 is providing you with 8 GB RAM and 128 GB ROM with no external card support. The Honor V20 also has the 8 GB RAM and 128 GB internal storage. Further, it also does not support any external memory card. The Huawei Nova 4 has a bit smaller power storage capacity as compared to Honor V20. Nova 4 is loaded with 3750 mAh non-removable Lithium-ion battery. The Honor V20 is equipped with 4000 mAh Lithium-ion non-removable battery with 4.5V5 quick charging. Honor V20: Get this for a cheapest rate here.